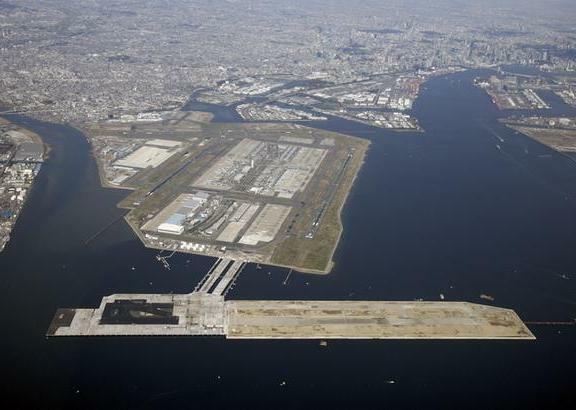 Since the end of 2010, Tokyo's Haneda Airport (the world's fourth busiest airport in terms of passenger transit - with departures every 2 minutes), is boasting a new runway that emerges out of the sea. 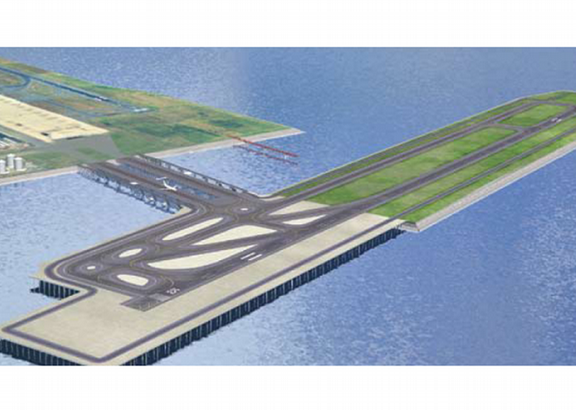 The pier, built exclusively for international flights, will stretch out over a massive 520,000 m² area over the sea, and feature two structures: an underwater portion, consisting of steel pillars and their coatings, going down to a depth of 70 meters, and a concrete slab area of 192,000 m² secured on steel girders. Supplying the 6,139 Ductal® slabs required for this project was a major challenge due to the scale of work involved. The key requirements specified by the engineers include durability, strength and low maintenance costs. Ductal® was selected for its excellent salt resistance (approximately 1,000 times better than ordinary concrete) and its extremely high permeability coefficient, far exceeding the values for conventional concrete. Costs are significantly reduced for this unprecedented structure due to the durability and light weight of the Ductal® slabs (half the weight of conventional slabs). Therefore, given the material characteristics, the weight of the slabs can be reduced, as can the cost of steel casings and the piles. 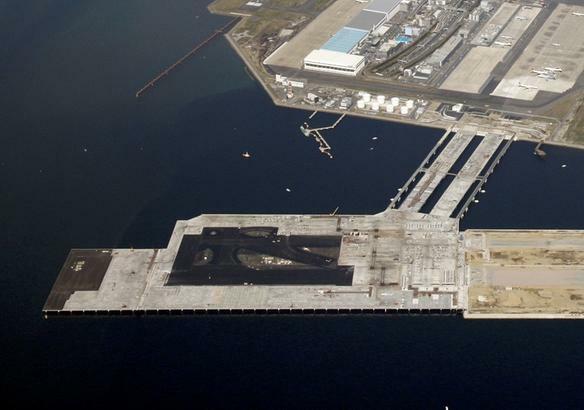 This innovative project involved a strong collaboration between the Ductal® premix supplier, Taiheiyo Cement Corporation and construction firm, Taisei Corporation.